Collector's Arcana: X1 Isle of Dread has two distince versions: The original "blue cover" and the later "orange cover". Though similar, the both have different cover art as well as distinct differences in contents and format. The "blue" cover versions have an outer two-panel cover and a 32 page booklet with map inserts on pages 13-21 as well as a perforated map/handout on the final page of the booklet. The "Orange" version has a tri-panel cover the third panel of which is a perforated map. Pages 12-20 are grey colored map inserts. 1st Print:This module has "All Rights Reserved" printed twice on the front cover. 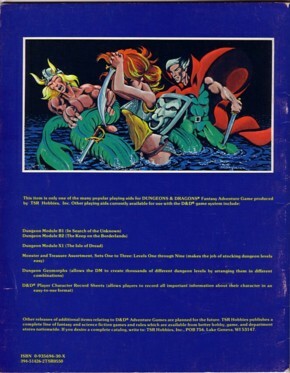 In addition, the interior booklet has a copyright of 1981 while the outer booklet has a copyright of 1980. The interior booklet is also misprinted with the product number of 9034 - it should be 9043. Other differences include the "A Wilderness Adventure for Character Levels 3-7" is on two separate lines. Finally, the orange banner on the top left is 2.5cm wide, which is wider than later prints. 2nd Print:This has the additional "All Rights Reserved" removed and the copyright on the front cover is now 1981. 3rd Print: This version is quite a bit smaller than the 1st and 2nd prints. It measures 27.2cm in height (as opposed to 27.8cm) and it measures 21.2cm in width (as opposed to 21.8cm). In addition, on the back cover, there is a piece code with a price indicating it is $5.50. Finally, the "blue" cover is now much closer to purple and is distinctly different when the two are held next to each other. Possibly the size was reduced to better fit in the Expert Box sets as the larger modules did not fit properly. 4th Print: This is the Orange covered version. Several key differences were already noted in the Collector's Arcana section above. 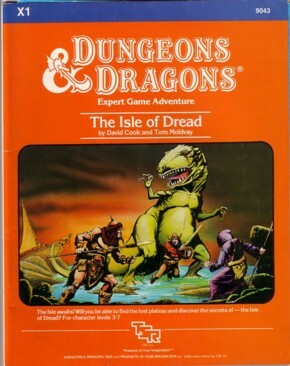 The Isle of Dread is the first in a series of adventure modules for use with the Dungeons & Dragons Expert Rules. 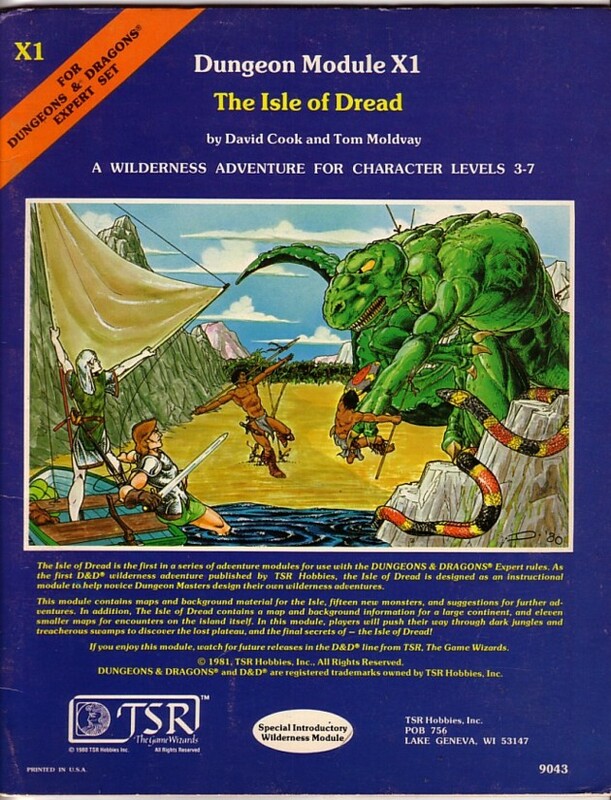 As the first D&D wilderness adventure published by TSR Hobbies, the Isle of Dread is designed as an instructional module to help novice Dungeon Masters design their own wilderness adventures. Do you have questions, additional information or new research about this item? We invite you to interact with other collectors in our Research Forums.